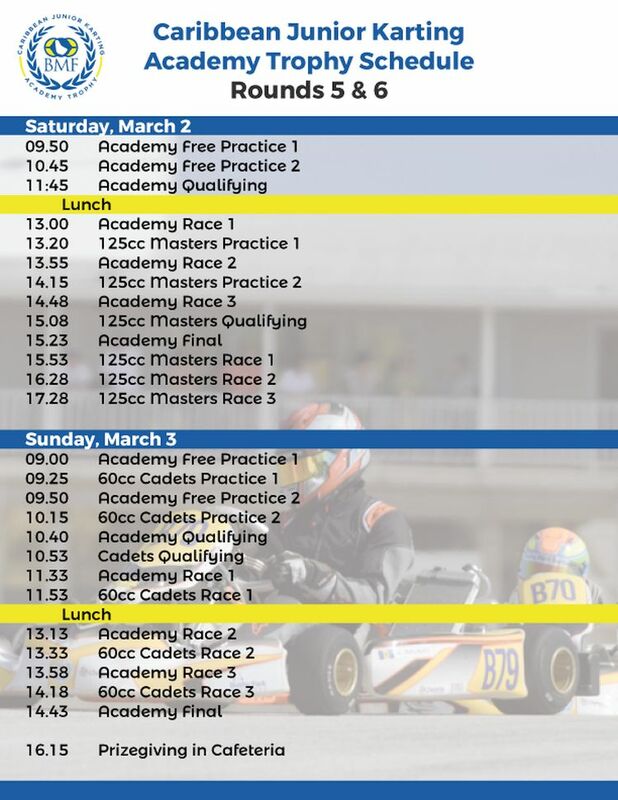 Fifteen young racers from Barbados, Guyana and Jamaica will face off at Bushy Park Barbados this weekend when the Finals of the 2019 Caribbean Junior Karting Academy Trophy (CJKAT) gets underway. Not only will the youngsters be fighting for the honour of becoming the inaugural regional Champion, but also for the Grand Prize of an entry in the Sunshine State Karting Challenge (SSKC) in Florida. In addition to trophies for the top three finishers and medals for all participants, the Champion will win a fully-paid entry and X30 Junior kart for one SSKC weekend, valued at more than US$3,000. CJKAT will be contested by racers aged from 11 to 15 y.o. See attached flyer for the day's schedule. 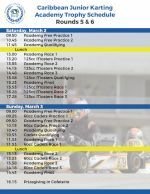 Admission FREE for spectators on both days.